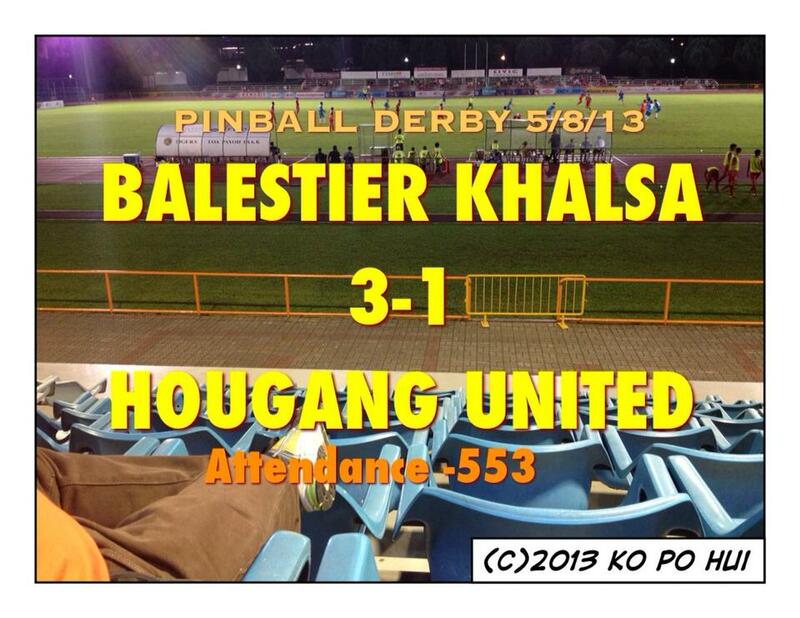 Balestier Khalsa claimed all three points in the newly-christened “Pinball Derby” with a 3-1 rout over Hougang United at the Toa Payoh Stadium. Following the result, the visiting Cheetahs saw themselves engulfed further deep at near bottom of the standings on eleventh position, while the hosting Tigers boasted their positioning that propelled them to fourth after 19 matches played. Unlike the intensity shown in the previous Cup match played on the same ground between the two sides weeks ago, it was a tepid affair with limited sparks in this league fixture that saw misguided exchanges and wasted opportunities dominated much of the proceedings. Therefore, whoever took their chances well would see them gain the much-needed advantage over the other party, which in this case explained why Balestier adhered to that principle and walked away with the victory. Latched on a long punt from 'keeper Zaiful Nizam, national striker Qiu Li took his chance well to lob in a volley from 30-meter that caught his fellow national teammate Fadhil Salim stranded on the ground to give Tigers the 1-0 lead on the 37th minute. The similar occurrence haunted the Cheetahs' custodian when he was at the receiving end on the 65th minute from a Kim Minho strike from 20-meter out. The game was put beyond Hougang's reach when Brazilian forward Vitor Borges broke his S.League duck on the 72nd minute from the penalty spot against his old team with Shahir Hamzah's close-range header reduced the deficit to pull one back for the guests. "We played decent football and we are getting the results of what we want, so it's important for us to keep up with this attitude." said a pleasing Balestier Khalsa coach Darren Stewart after the match. 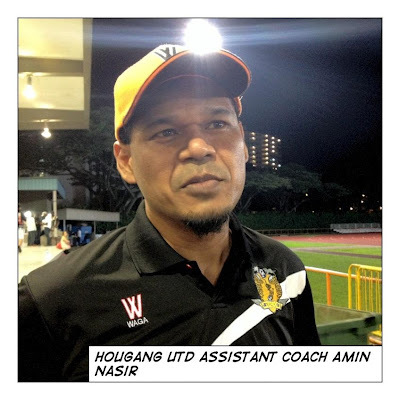 Meanwhile, Hougang United were represented by their assistant coach Amin Nasir in their post-match media briefing after head coach Johana Johari declined comment when making his way out of the tunnel. 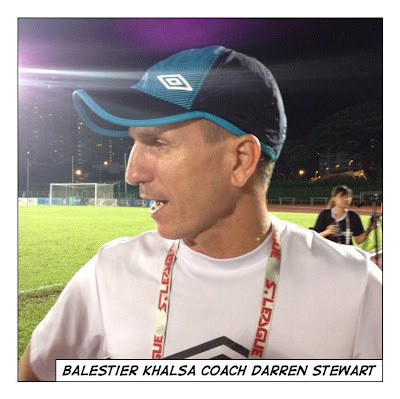 Said the former Singapore defender:"We are disappointed with 3-1 loss and Balestier took their chances well, whereas we did not so that's the difference between the two." "We tried to compete with them by creating chances of our own, but I think the second goal pulled the morale of the team down, however, the boys fought hard in this game." added coach Amin.